Although we did manage to accomplish a few different jobs today… we again decided to take a picnic supper out to enjoy the fairly nice evening. It’s been cloudy all day, but warm, and with Victoria and Matt here until tomorrow, it was time to enjoy a break. 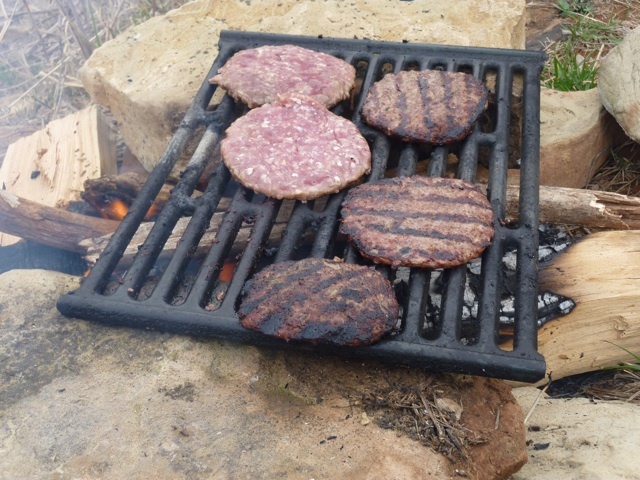 This time we went to the creek up at the Mills Place… for hamburgers. 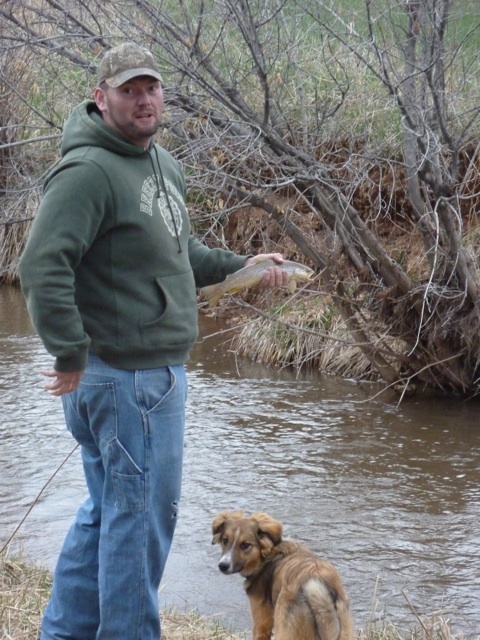 Matt took a few minutes to throw his line in the creek… look what hit his lure. A few minutes later, this nice 15.5″ hit. Good thing we’d already eaten… or not. 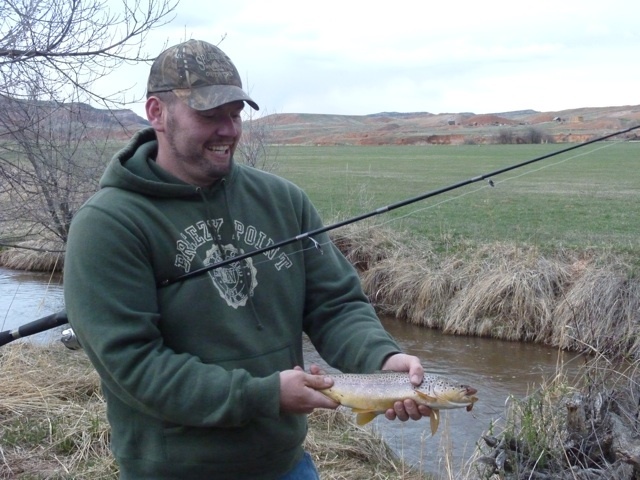 He released them though, so they are still available for future anglers! 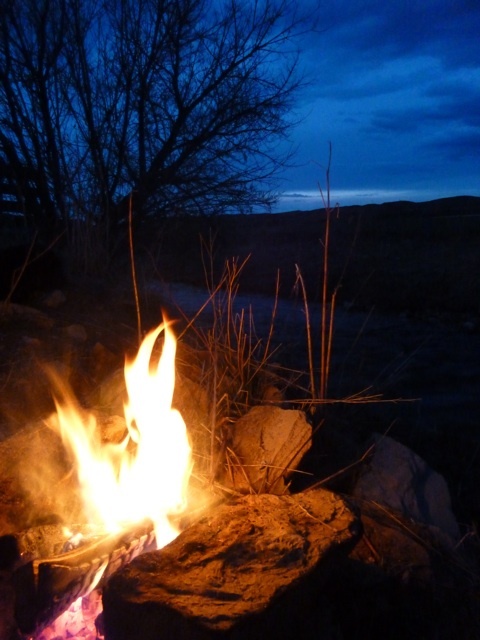 We then just settled in and enjoyed a nice campfire and some stories as the night fell softly around us.